Weleda have recently launched this limited edition set of body washes in a handy travel pack. Weleda launched the Body Wash Minis* after the success of their 90th Anniversary Body Oils Mini Set. This beautiful set is a must for Weleda fans and if you're new to the brand this would be a great little treat to try a few of the scents. The set contains five body washes each 20ml, these also work as a great in shower/bath moisturiser. So if you have dry skin these would be great. They cleanse and hydrate the skin together, making them a lovely treat. 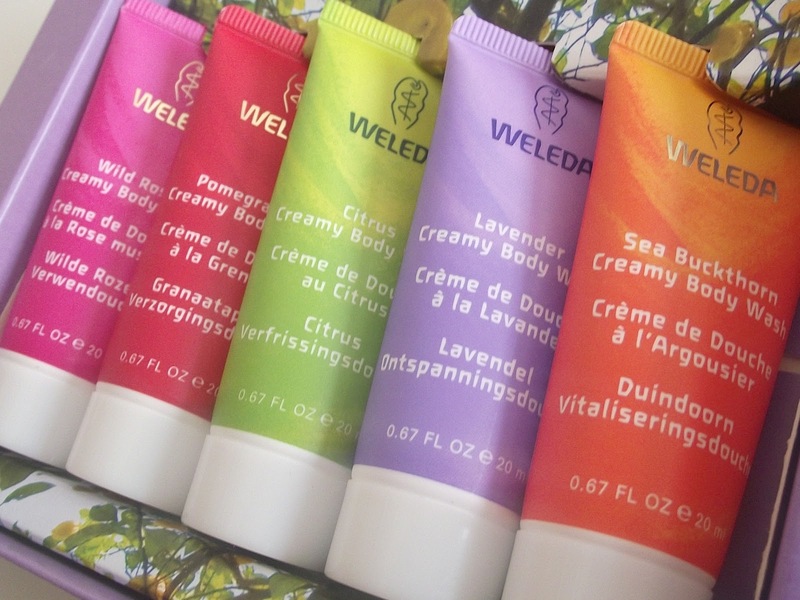 Have you tried Weleda? What's your favourite products?